As any voracious reader knows, there are so many books out there, it can be hard to choose just what to read next. So what could be better than a hand-picked recommendation from someone in the know? Every Wednesday the XOXOAD team likes to find out what some of its favorite authors are reading; today we’ve asked NYT bestselling author Candace Camp, author of countless historical romances including her newest book, TREASURED (Book 1 in the Secrets of the Loch trilogy), to tell us! Take it away, Candy! Right now I am reading SHADOW SPELL, the second book in Nora Roberts’ Cousins O’Dwyer series. I always read her new releases, and I especially like her series (like this one) that have to do with witches and magic. 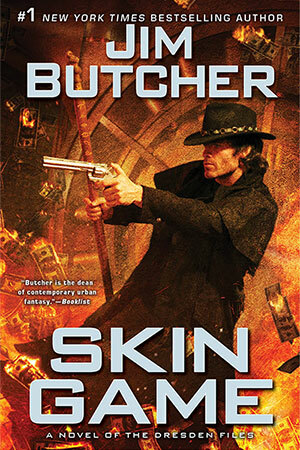 I’ve also been listening to the early Harry Dresden books by Jim Butcher on Audible while I walk on the treadmill. Right now it’s BLOOD RITES. I’ve read them all before and in general I prefer to read rather than listen (as my husband would be happy to tell you), but the Harry Dresden audio books are the best. They’re read by James Marsters (Spike on Buffy) and he is absolutely pitch perfect on not only Harry’s voice, but all the others, as well. I’m going to re-read SHADOW HILLS by Anastasia Hopcus because, again, I like the supernatural (and because she’s my daughter). Do you notice this shadow thing I’ve got going? Now that I think about, I am drawn to books with “shadow” in the title. Lastly, I am saving two new releases for my celebration when I complete the second book in the Secrets of the Loch trilogy, PLEASURED. I always do this when I’m near the end of a book. If there are any new releases that I know I will sit down and read straight through without stopping except to eat and sleep, I keep them as incentive for that final burst. You know, kind of like chocolate at the finish line. 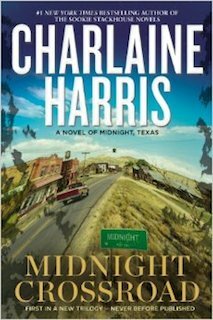 Sometimes a book like that doesn’t come out at the right time, but this time, I lucked out with two: SKIN GAME by Jim Butcher, the latest in the Harry Dresden series, and MIDNIGHT CROSSING, the first in Charlaine Harris’ new “Midnight, Texas” series. Harry Dresden, professional wizard, finds himself the reluctant accomplice to a band of villains planning to steal the Holy Grail--or worse. Harry Dresden takes a case as a favor to his sketchy vampire friend Thomas, only to become the prime suspect in a series of ghastly murders. A close-knit Irish family with magic in their blood? What's not to like? This is book 2 of a trilogy that starts with DARK WITCH. Persephone follows her prophetic dreams to a mysterious private school in a town where all the residents have magical abilities...but what's her psychic connection to the place?